In short -- Universal Medicine is a unit of service that was inaugurated in late 1999 in response to the already inordinate conditions prevailing in the many clients Serge was seeing in his then home based Esoteric Medicine practice that had begun earlier that year. The application of a series of techniques and a varying array of modalities that found the practice of Esoteric Medicine gave Serge an insight into what was deeply wrong – ‘with few if any realising how deeply wrong the way they live is in relation to our true state of being’. From that call, or realisation, came the inaugural first workshop that then led to the subsequent series of books, courses and lectures that were expressed in likewise response to humanity. they are not beliefs or ideals and nor are they an indulgent grandiloquence for the purpose of attention or alike intent, but rather a sharing of a re-discovery from one that also stood behind the very thick curtain and was thus totally immersed in what we are told from young is to be adopted as the ‘norm’, the ‘mainstream’ and what is to be ‘acceptable’ in life as life in society. The human race exists thick inside a fog we are all held by … it is a constant stream of ideals and beliefs and forms of very limited if not manufactured intelligence that present themselves as being ‘the truth’ and the only life there is accordingly. But, the real truth is the fact that we are deeply imprisoned and thus held by a veil of illusion we most erroneously give life and sustenance to. It is in essence a complete false from the point of view of the whole that is there waiting to be accessed. that is, what we call and know is life, is a false in reality to what is truly taking place in a gigantic interdepending whole that is entirely and unchangeably all held and impulsed by a set of energetic truths. For many, it may be difficult to grasp how Universal Medicine came to be from what one would assume was a non-related starting point in regards to what Universal Medicine represents, what it is, where it is at, and what it has thus far done in its to-date period of service. And so, this brief ‘about us’ has been formulated to give a small explanation and understanding of what Universal Medicine is, but more importantly, where, how and why we are as we are. Like all, Serge too, was deeply immersed and hence held tightly by a set of societal truths that were the absolute truths … unshakably so as it is for us all. 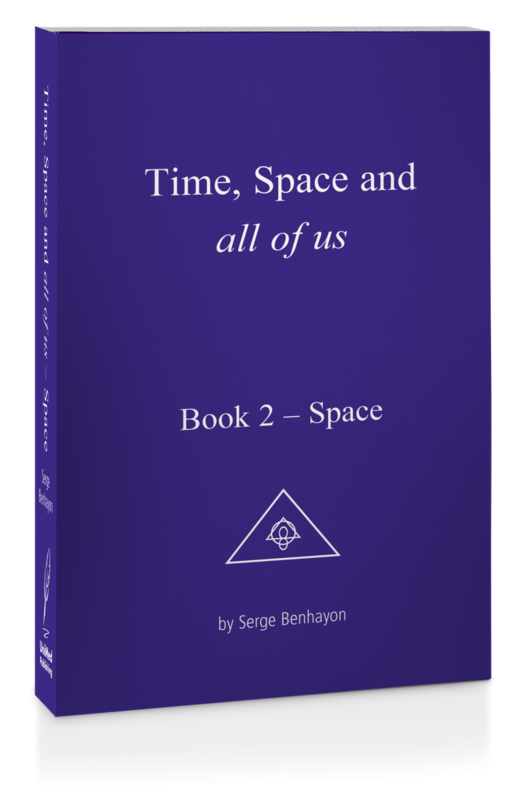 And so, the following is a concise recount of and about how it came to be for Serge and thus, the gestation period that led to the birth of Universal Medicine … a birth that almost did not complete. As a near to exact date, it can be said that Universal Medicine, as it is, was first conceived in the month of September 1999. ‘Conceived’ by an energetic impress given (impressed) to its founder, Serge Benhayon. 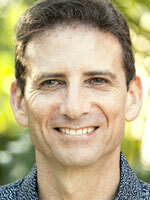 By way of background, true health, wellness and fitness had long been at the heart of Universal Medicine’s founder. Prior to the inception of Universal Medicine as an organisation that teaches, practises and hence brings true healing and true-wellbeing, Serge spent 20 years in the sports industry. And thus, this background gave Serge insight into the usual and more commonly known understanding, schools of thought, tenets and up-to-date sciences to do with fitness, wellness and health. Personally, he was very fit and healthy, very content and financially successful with little need to change, as one would normally understand ‘change’ or ‘needing to change’ from something that is not working or from being ‘not happy’ or ‘discontent’ and therefore wanting to move on in search of more, etc. In short, there was no reason whatsoever to change where he stood in his life. And hence, with no vigour, stimulation or drive, his initial interest in the ‘healing thing’, as he called it back then, was born-out from a deep feeling he was at that stage experiencing … a feeling he could not explain. In essence, he felt that there was a grander more open and truth-full form of life, something that contained far more than we as a human race had, for it, in spite of his own success, comfort and wellness in it, was not it. It needs to be said and at best understood that this was not the usual ‘head thing’. There were no thoughts on the matter or ideas etc. It was, as he will say, and today teaches it so – a feeling he was feeling from deep within. It would be fallacious to say that he knew what he was doing in the same fashion that he had command over in his then profession but, notwithstanding the somewhat awkwardness of the experience, he chose to honour what he was feeling over and against a mind that was at first confused and then instructional to effectively bail-out and leave such nonsense behind. In affect, Serge was experiencing a situation he felt to honour and investigate further … a decision that would eventually prove right in every way, but back then, no such knowing was at his conscious fore, let alone the vast knowledge and wisdom that was to follow shortly thereafter. It would be very wrong to assume that there was any blind following or chance taken in what was taking place. What was ‘happening’ to his otherwise content and complete life was an amazing ten-fold rise in awareness … an extraordinary level of awareness that could not be explained, and yet, it felt right and true. Having no need to change his life, gave Serge very clear sight and command over what was happening, that is, there was no reason to ‘be taken’ or be lured into or by any form of enticement, phenomenon or wow-factor. He was already very clear that the mumbo-jumbo of the spirituality and or the New Age brigade was not in any way part of his interest. He unexplainably had a very strong abhorrence towards and about any form of mediumship or channelling as it were … a point of clarity he still holds today, only this time, he knows exactly why. And thus, it was not any mysterious allure, excitement or wow that was allowing the interest to sustain itself, it was what the awareness was indicating/showing that held true over any counter the mind could come up with that provided the impulse to investigate further. The ‘investigative’ nature or necessary part of the ordeal led him to having to read or look up books he would not normally choose in addition to choosing to participate in a series of ‘healing’ (so-called) courses. The books he had to read were not his cup of tea and, the awareness he was experiencing, very easily exposed the many hidden tricks, channelled delusions and plain old lies that presented themselves as truths in these ‘best-selling’ books. The unexplained knowing about subjects he did not know or cared about extended itself to those he sought expert understanding from and, whilst attending the courses he thought he had to attend, he likewise felt a deep dissatisfaction with their content, knowledge and integrity, something that to him made no sense at all since he was, after all, a novice learning the ropes, so to speak. Then, one day, at a course, he had an experience that was also witnessed by one other participant. The ‘experience’ was on one level profound, rather supernatural or phenomenal and yet, at the same time natural and, curiously, knowing, even if unusual for his healthy scepticism to contend with. This experience led to a deeper and more whole connection to and with his already developing deeply profound inner-feelings that were bringing the extraordinary level of awareness if not the re-awakening that was so astounding, but nonetheless weird at the same time. The ‘feelings’, as he then called them, were very clear and precise and, they were very clearly not emotions. What he was experiencing were ‘feelings’ that he could sense were very deep or came from a deep place in his heart -- the same feeling/s he had chosen to honour and pursue earlier. Their accuracy and preciseness, what they disclosed, exposed and taught, expanded as he further honoured them which, in contrast to his thoughts on the whole matter, further confirmed the development of deep confidence over all the mind-led thoughts that were being challenged by what was evidently far more truth-full, whole and complete in its understanding. But somehow, and even with the profound assurances being deeply felt, the mind made it not so easy. honouring what felt completely and absolutely true? In effect, Serge discovered in early 1999 that the inner-heart knows about life far more than the mind can ever re-call, learn, equate, comprehend and even fathom. When he went into his head/mind for the usual so-called and or so-assumed better or sounder heedful reasoning to attempt to explain it all, none of it made much sense in addition to coming back at him with the strong mindful challenges or scepticism over anything the mind has not been pre-filled with. Like most, and as mentioned earlier, Serge sought outside help and or explanation from ‘experts’ that perhaps would bring further clarity whilst at the same time not abandoning or ignoring the fact that his inner-heart felt and knew it all well before the mind could. The latter, Serge says today, is what in the end helped most, that is, that he did not abandon or ignore those deeper feelings and thus profound insights whilst he was, like any other person, searching in or from his head for an explanation to what was taking place. Where to look/who to ask? A few if not too many spiritual ‘new age’ or otherwise old and traditional/ heritage rich books later, Serge discovered a vast plethora of tricks, hooks (as he calls them) and a miasma of claims, rights and stories that pleased or partially satisfied the seeking mind. It was rather alarming to feel how easily a ‘yes’ to or by the mind came not so to the inner-heart where the false and the clever trickery of those books/’experts’/teachers were very easily exposed … even if those so easily exposed were famous, known and successful authors or hailed as or assumed to be divine teachers/gurus, etc. In essence, the inner-heart made no distinction, critique or judgment based on any title, fame, lineage or tradition, it just knew with a universal kind of solidness what was true and what was not true or what contained parts of truth with parts that were simply and utterly not true but presented themselves as truth. For the inner-heart, so it seemed, that is, how it so deeply felt - no one and or no thing, could fool it. Again, this was at odds with a mind that was prepared to cower and adhere to anything that came with a tag of age-old tradition, title and or heritage, had mass followings, institutional acceptance and, so-called proven grounds. Once again, it is pertinent to remember, if not understand, that all of this was happening to someone who did not need to change nor challenge his very comfortable position/place in life. At the age of 35, life was rather cruise-y in and amidst Serge’s long held strong and dedicated work ethic, and at that time, an even grander more financially rewarding opportunity lay in waiting. All it needed was a ‘yes’, and the known safe road was there for the taking. All thoughts led to the ‘yes’, that is, ‘take the assured opportunity and set yourself up for an even greater form of comfort for life’ – but the inner-heart felt otherwise. That time, was not that easy and, not only was it ‘not easy’, it was not necessary given the fact that it was in fact, not necessary. In addition to the financial carrot that was dangling ever so close and offering an even grander slice of long-term security, was the mind that was so ever-ready and prepared to discount the inner-heart and the awareness/feelings that came from it, the same mind that always posed as the all-knowing authority over any other part of the body … especially, and now curiously, more directly against the knowings of the inner-heart. And hence, like any reasonable person would, Serge challenged himself, trying to override his inner-heart with what his mind had to say. “Succumb to it (the mind) and adhere to its instruct that says – stick to what you do best, a skill you have made into an easy art over 20 years, that you are known for and successful at and just cruise … and, you have a growing brood of four to look after and so on and so on in addition to the onslaught about the other healers, authors, gurus and ‘divine ones’ being right, true, correct and them being it and not you, the novice-to-healing-tennis-coach. Such head-led onslaughts paved the way for the mantra – who are you, a tennis coach, to challenge those healers/experts/authors? And even with that and other similar self-castigations, the Inner-heart and its eternal ever loving impulse, remained steady and always right … even in the face of what seemed a constant stream of millions of reasons to doubt and or resist, the inner-heart proved itself steady, unwavering and, always right. And hence, crunch time – adhere to a seemingly well informed and dominant mind that espoused forthrightly that all the gurus/teachers, books and experts knew better/more about that world and its many topics or, continue to honour what made far more truth-full and wholesome sense … more truth-full and wholesome sense than a mind that was seemingly fighting its own inner-body, its own inner-heart. And, on top of it all, there was no one that could help even when one was prepared to listen to anyone at all. and from there, be prepared to do what it takes to live its non-instructional impulse and its serving way. This is the birth of Universal Medicine as a unit of service. From its almost very quick end to its relatively just as quick beginning, Universal Medicine was given the green-light, so to speak, once the realisation was given permission to have its say felt over and above everything that stood against it … and the word ‘everything’ here is not used lightly, for as one will one day discover, just about everything indeed stands against what the inner-heart otherwise knows. As a result of what has gracefully taken place, Universal Medicine has been an expression of service that is founded by the fact that we are all one and the same and that that fact can be proven if one but allows what is innately within to have equal say over a mind that has been filled since birth with just about everything the inner-heart is not. From the inner-heart come the wisdom and knowledge that then founded even greater and far more vast accesses to a certain type of wisdom and knowledge that is far beyond what our human minds are to-date capable of and yet, it is all there just waiting to be accessed/tapped into. From the Ageless Wisdom and Knowledge came the wisdom and knowledge that formed the teachings and practices of Esoteric Medicine, Esoteric Philosophy, Esoteric Psychology and Esoteric Healing … subjects, principles and teachings that were founded by late 1999 and, have collectively as well as each standing on their own, served many thousands from all walks of life since. choose our services as you are free to completely refuse, disprove and or walk-away. From this knowing and from this impulse, we serve.